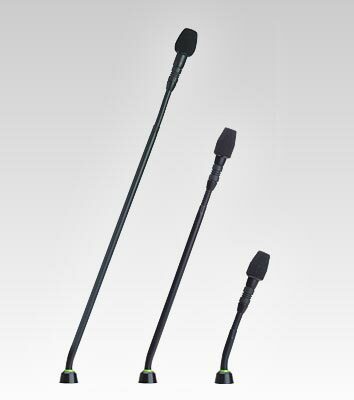 Microflex® Modular Gooseneck microphones deliver unsurpassed style, flexibility and performance for conference rooms and similar applications. Offering desktop or mounted bases, wired or wireless options, and even interchangeable cartridges, it’s easy to get the perfect fit for your conferencing installation. Fully compatible with SLX® Wireless Systems when used with MX890 Wireless Desktop Base.